Nancy Amelia Jackson, a woman accused of killing a disabled acquaintance, his mother, and stepfather is facing the death penalty or life in state prison without parole if convicted. 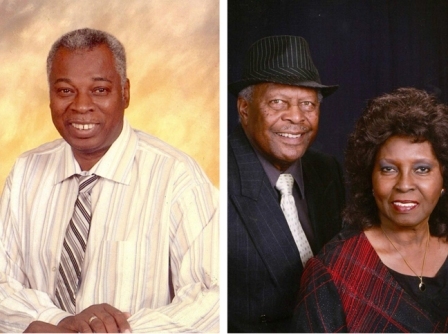 Police say 65-year-old Phillip White, Orsie Carter, 83, and her husband William Carter, 79, all suffered blunt force trauma to the head, and White and his mother were shot in his home in the 3900 block of South Bronson Avenue on May 21. Family found their bodies stacked atop each other on the bathroom floor the next day, according to police. Police tracked Jackson down in Culver City on May 24, where she was arrested in her vehicle without incident. Ballistic and other sufficient evidence support the facts connecting her to the incident, they say. Jackson, 55, is being held without bail while awaiting arraignment on July 11. She has been charged with three counts of murder, with a special circumstance allegation of multiple murders. A decision on whether to seek capital punishment in the case will be made at a later date, prose-cutors indicated. “From what I know and listening to her, I say and without reservation that what I see in her is pure evil, plain and simple,” said Captain Peter Whittingham, commander of the Los Angeles Police Department’s South Bureau’s Homicide Division during a press briefing at LAPD head-quarters on May 25. He said the fact that she may not have had a criminal history to suggest a pattern of behavior or indications that she has the ability to commit the heinous acts is irrelevant at this point. “It’s what she has done and the callousness that accompanies that behavior in my mind justify catego-rizing her as such,” Whittingham stated. He said the case involves a woman who appeared to be down on her luck. She found a kind-hearted, giving, and supportive helper in White, who gave her a chance to get off the street. “They were beautiful, loving, gracious, generous people,” Terry Carter, White’s brother, said in a quiet, measured tone during the press conference. The victims’ family flanked Whittingham during the press conference, had remained silent as he spoke except for the brief statement one reporter begged from Terry Carter. “They do not wish to be further identified or provide any statements at this time,” Whittingham stated. 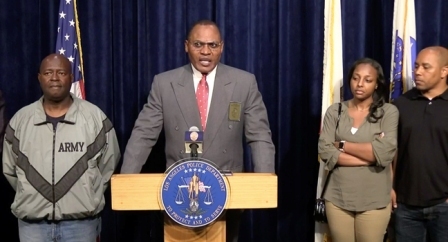 “I lost my brother, and my mother and my father … and I’m just happy and thankful that we have swift justice,” he told CBS 2 TV’s Amy Johnson after Jackson was arrested on May 24. Despite earlier reports that Jackson took care of White due to his debilitating disease, his brother said she was never a caregiver. “My brother extended mercy to her, and offered her a place to stay while she gets her house in Las Vegas, which she was supposed to be moving June 6,” he stated. White had grown tired of her being there, and the family discussed ways to get her to leave voluntarily, according to the media report. The next day, according to Terry Carter, his parents made their routine care visit to the home. “I guess that’s when everything came to a head, and it reached its climax,” he said. According to prosecutors, Jackson stayed in the retired probation officer’s home for about three to six weeks. Media reports say White was a kind, loving pillar of his community, who ran the neighborhood safety watch program. “In so doing, she used that opportunity to manipulate Mr. Phillip White, who as we know, was disabled, and take unfair advantage of him and his kindness,” Whittingham said. White had multiple sclerosis, an unpredictable, often disabling disease of the central nervous system. It disrupts the flow of information within the brain, and between the brain and body. According to Whittingham, Jackson abused the privileges afforded by White, and his mother, who was also his legal caretaker, insisted Jackson leave. “But as we now know, she was not going to have anything to do with what she was told because she had, in my view, determined that it was a good thing and nobody was going to get between her and a good thing,” he said. According to police, there was nothing to even remotely hint there was any other person in-volved in the case, but they appealed for anyone with any information to come forth immediately. Police further indicated that when Jackson was thought to be a person of interest only, they re-leased her ID number and a photo. It projected a smiling individual who appeared cheerful. “I will tell you now, having seen the evidence and the scene, that that smile is nothing but deceiving, because what I saw is pure evil in that individual, and that’s what she is,” reiterated Whittingham. “I am now, like the family, waiting for justice to take its course and hopefully to bring solace to the family,” he added. 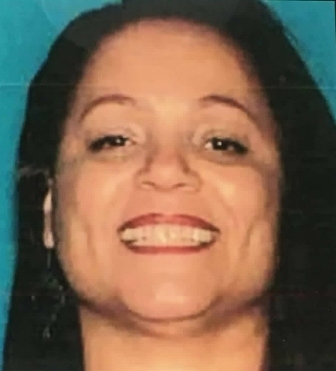 Initially she was also considered maybe even a material witness, but LAPD confirmed May 25 that she was in fact the key suspect who killed the three, innocent family people. “I will tell you that from my standpoint as a commanding officer and a father, son, and all the family members of homicides feel relief for the family that at least we are at this point on our way to bringing justice and holding the person responsibility for this senseless and brutal murder of this innocent family,” said Whittingham.